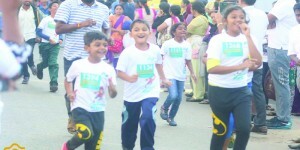 An innovative event for Kidney Awareness in Children was organized by NU Hospitals, witnessed an enormous participation by children in Bangalore. 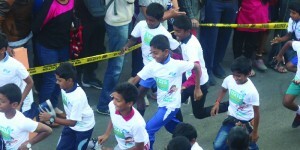 Near about 1800 children took part in the run under the banner of ‘Healthy Kidneys, Healthy Children’ at NU Hospitals. 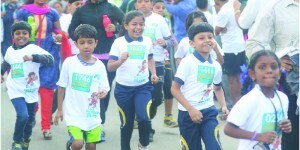 This event was mainly concentrated on children between the age group of 3 years to 16 years and a distance of 1Km to 4Km was covered based on age groups. 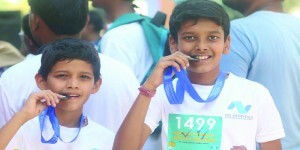 The main intension behind the Pediatric Run was to create awareness that there are various cognitive disorders or familiar problems which go ignored in children. Not many people are aware of kidney diseases among children and how to prevent children from it. The concept of the event, thus influenced the people a lot and took the event towards a big success. In the evening there was a Zumba program as well. It was enthralling to see the little ones trying to match the instructor’s moves. Along with this, there were other fun activities for the children participating in this event, like Magic show, Art and craft, Pottery, Caricature, Tattoo making, Angry bird games, Ring-a-bottle, Bowling to name a few. According to the doctors, NU Hospitals is the only hospital that deals with Pediatric urology in Bangalore, so this groundbreaking event created a lot of awareness among the people.